My wife and I were raised in the faith community of the Trinity Presbyterian Church in Wilmington, DE. As a part of their sixtieth anniversary this congregation invited me to preach the sermon on October 29, 2017. Coincidentally, this was the room in which I was ordained to the ministry of the Word and Sacrament on October 28, 1990. Perhaps NOT coincidentally, the worship service at Trinity on 10/29/17 began with the commissioning of a “Disaster Response Team” (ostensibly for relief in parts of West Virginia, but I have my suspicions that this had something to do with my ordination…). The scriptures for the day, included in the audio portion, were Matthew 22:34-46 and Colossians 3:12-17. We were nearly stumped. And then, hallelujah! At the last possible moment, saved. Through an oversight (or else probably, if you think about it, just plain politeness), they don’t weigh the passengers. The Southern Baptist Mission League gave us this hint, without coming right out and telling us to flout the law of the forty-four pounds, and from there we made our plan. We struck out for Africa carrying all our excess baggage on our bodies, under our clothes. Also, we had clothes under our clothes. My sisters and I left home wearing six pairs of underdrawers, two half-slips and camisoles; several dresses one on top of the other, with pedal pushers underneath; and outside of everything an all-weather coat. (The encyclopedia advised us to count on rain). The other goods, tools, cake-mix boxes and so forth were tucked out of sight in our pockets and under our waistbands, surrounding us in a clanking armor. Having led more than one planeload of would-be missionaries to Africa, I laughed when I read about the strategy of the Price family – because I know that it’s true. At the heart of that narrative is a question with which anyone who’s ever left home has struggled: How will we be able to survive in this new and foreign place without the things that we are sure we’ll need? In fact, as I stand here thinking about that family and their struggle to enter a new place, I cannot help but reflect on the events that took place in this very room on October 28, 1990. Some very wise, thoughtful people representing both this congregation and the Church of Jesus Christ stood in front of the body that had assembled and testified that you, and they, had done everything possible to prepare me for a vocation in the pastorate. And they weren’t lying, I can tell you. 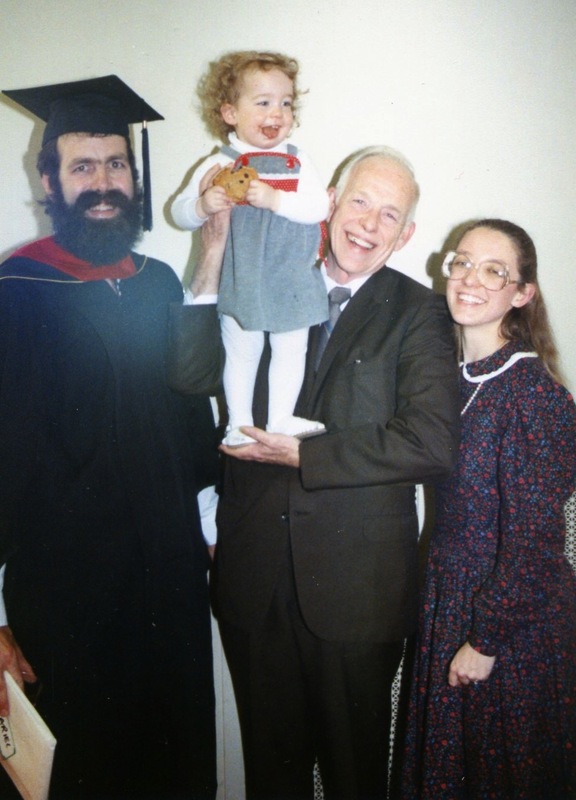 In 1990 – myself with my daughter, my father, and my wife. I’d somehow managed to cram a three-year graduate degree into 8 years of study. I’d been to four seminaries, worked in three Presbyteries, and had already been employed by two different denominations. I had boxes and boxes of books that were filled with underlining and highlighting, a plethora of wall hangings, and files and files of paper. I belonged to caucuses within the church and had served on committees; I had stood up for issues and made sure that people knew my positions on the important matters of the day. And when I stood in this chancel on that day, I felt like I had a lot to carry with me into this new land of ministry. It was a wonderful day in so many ways. My good friend Kate Killebrew Salmon preached a whale of a sermon, and then I knelt on the slate floor here and people like Stu Wysham and Barbara Price Martin put their hands on me and prayed and I felt the weight of all I’d been given and everything I’d carried with me, and it seemed as if my knees would be ground right into the floor. But that day was not just about me – it was about this church sending one of its children into the world. And I think that for the church, it was a good day. You came by it honestly, of course. Just a few decades before, you’d been started on a journey yourselves by the good and wise people of New Castle Presbytery. You found yourselves plopped down on a few acres in a growing area, and held the worship services in the old farmhouse. Brandywine Hundred was up and coming in those days. There were plenty of new families moving into the community, and a number of them ended up here… and so the Venables and the Tills met folks like the McCoys and the Carvers and the Chubbs and the Smrz’s. There was a great opportunity for growth, and the church had to get crack-a-lackin if it was going to claim northern Delaware for Christendom and Presbyterianism. You started in a farmhouse, but you had an entrepreneurial spirit and big ideas. Soon enough, we had the Naaman’s wing. There was space for worship, a giant tree under which we could enjoy lemonade in the warm weather, and the remnants of an orchard where I could pick cherries or pears or apples while I waited for my parents to quit talking and get me home to play. Growth and fruitfulness were the order of the day, in fact. The sanctuary was added, and later on the “new building”, or the Darley wing, which contained all sorts of spiffy new rooms in which you trusted the likes of a teenaged Dave Carver to teach your second-graders their Sunday school lessons. It was a good place to be, and a fine place to grow up. Trinity Presbyterian, Dave Carver, and the entire North American church, by and large, did this because we were pretty convinced that the future would closely resemble the past. We built ministries around the culture and the landscapes that we knew. We filled our days and hours making sure that we were orthodox – that we had the right ideas and beliefs about the world, because we knew that having the correct answers mattered – it mattered a lot. And then… the world changed. It didn’t happen overnight, necessarily, but it sure changed quickly and dramatically. This church, and a thousand like it, was built in the expectation that people who had been faithful somewhere else would move into this neighborhood and continue to practice the orthodoxy they’d learned in some other place. We’d have kids, of course, and reach out to the few people who didn’t have a place to worship regularly (without being pushy, of course). Mostly, though, we’d keep doing what we’d always done, teaching the answers that had always worked so well for us. Except it didn’t really work out that way, did it? I mean, when I stand at the corner of “Real Life” Avenue and “21st Century America” Street with my collection of diplomas, books, orthodox ideas and doctrinally correct positions, I am regarded with as much suspicion by the natives as was the Price family when they arrived in the Belgian Congo laden with Betty Crocker mixes, pinking shears, and Absorbine Jr.
And we – the church of Jesus Christ – have had to learn (again) that what matters most is not what we carry, but rather staying in touch with the One who sent us – to Brandywine Hundred, to Pittsburgh, and to 2017. 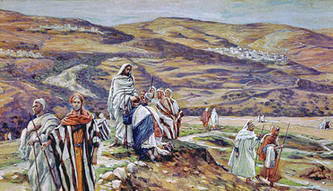 The Pharisees and Saducees who encountered Jesus on that day in temple were not bad people. Heck, if any one of them walked through the door this morning they’d probably be approached by the nominating committee in the hopes that they’d be willing to serve as an officer here. They were wise, seasoned believers who were trying desperately to keep the faith that they’d received from their ancestors. The problem, of course, was that the “faith” had been confused with a lot of other things, and by the time that Jesus entered the Temple, these decent men and women were holding on to all kinds of things that they did not need. Which isn’t so scary, really, in a world where my neighbor looks like me, believes like me, and votes like me. And some of us are so surprised by the fact that Jesus doesn’t take us off the hook that we simply pretend that he says all that stuff anyway. But of course, he leaves us on the hook. He tells us to travel light. He keeps on asking us to trust him more than we trust the books that line the walls of my study… to trust him more than we trust our own ideas or inclinations. And we remember that when Jesus sent anyone anywhere, he never said, “Hey, make sure you take an extra suitcase of good stuff, because you never know what kind of knuckleheads you’re going to run into out there…” He told us to pack lightly, and to trust that the One who was sending us would make a way for us when the time was right. Listening to and following Jesus can be way scarier than anything you’ve got planned for Halloween. But I think that the only way to stay rooted in the Divine intention is to practice that kind of faithfulness. When I take a group to Africa, I tease them about the 17 bottles of sunscreen, or the rolls of Duct tape, or the boxes of granola that they cram into their suitcases. I tell them about the Price family and The Poisonwood Bible. There’s one thing that I have carried ever since October 28, 1990. So far as I know, it’s never gone out of style and it never will. It’s a tiny communion kit that was handed to me by Carson Herr as a gift from this congregation. It’s gotten beaten up. It’s tarnished and dented. The felt inside the case is getting threadbare, and the outside is held together by Duct tape and replacement hinges. The original plastic bottle wore out and sprung a leak about a decade ago. But whenever I use it, or see it, I remember the words I learned here. Do this. Do this – offer yourself in love to the people who need what you have because you remember how God, in Christ, has offered God’s self to you. Do this in remembrance of me. I can’t find my diplomas. I lost a lot of books when my study flooded in 2010. I’ve changed my mind on a lot of issues. But this? Well, I think it’s all I need. And, thanks be to God, you have one too. May God bless you in the next sixty years of doing, remembering, and loving. And don’t forget to layer up when you go out there. Amen. The Poisonwood Bible (Harper paperback, 2003, pp. 16-18). I was taken aback the next night, when she said, “Tell me the Rain story again, Grampy”. I struggled to remember, and it was a good thing – because I probably told that story a dozen times in the week we spent together. My hope in sharing it with you is not that you might spend much energy thinking about whether I am or am not a good teller of stories (I already have my most important fan! ), but rather that you might consider how your words, presence, and encouragement can help a child in your world grow in her or his ability to see strengths in him or herself as well as beauty and grace in the world. Alert hearers will detect that Rain is resourceful and brave, and Grampy is wise and lovable. If you think that’s a little self-serving, well, make up your own story. You can read mine, or listen to it by clicking the audio link below (you’ll have to find your own lap, though…). This is the story of a brave, kind, funny, loving girl named Rain, and how she saved her home and her neighbors from the House Eating Trolls. Rain lived with her little sister, Violet, in a beautiful home on Johnson Street. There were seven houses on Johnson Street, and every single one of them was beautiful. Rain’s house, in particular, was beautiful because of the bright colors that she painted it. Her favorite colors were pink and purple, and she loved them both so much that she couldn’t decide which color to paint her house! One day, she painted her roof pink and her walls purple, but not too long after that, she would switch and paint the roof purple and the walls pink. Either way, it was beautiful and she, and everyone who saw it, thought it was amazing. All of the neighbors on Johnson Street had gardens, but Rain’s garden was by far the most beautiful. She grew everything from apples to zucchini! Rain’s garden had beans and beets, raspberries and rhubarb, lingonberries and lemons; she grew kiwi and cucumbers and apples and, of course, watermelon. In fact, the story for today has something to do with watermelon. There was going to be a big festival in her town, and Rain had been saving an especially large and pretty watermelon to share with her friends there. She decided that the day had come to pick the watermelon, and so early one morning she went outside to get the fruit. Imagine how surprised she was when she got to the garden and she saw that the watermelon was gone! She looked all through the garden, and in the woods, and all through her yard, but it wasn’t there. She went back to the garden to think, and then she realized something. Her toes were wet. But not just her toes – both feet were wet – all the way up to her ankles! Rain was standing in a puddle! And then she realized something else: she was not standing in an ordinary puddle – she was standing in a puddle of something PINK! She looked down, and she saw that her amazingly beautiful, tasty watermelon had been stomped on and squished! And then she noticed something else that made her a little bit frightened: it was not a normal puddle – she was standing in a footprint! Now, this was not a normal footprint. It was not a footprint the size of baby Violet. It was not even a footprint the size of Rain’s foot. It was even bigger than Rain’s Grampy’s footprint. In fact, it was as big as a TRAMPOLINE! Well, Rain decided that the best thing to do would be to call her Grampy. She pulled out her phone and called him. “Grampy,” she said, “Someone has squished my watermelon!” And she almost cried, because she liked the watermelon a lot. “I love you too, Grampy!”, she replied. And then she climbed down and went inside. A couple of nights later, she was helping Violet get ready for bed, and she heard some noises. The first ones sounded like, SLURP, SLURP, SLURP. Then she heard two noises that sounded like CRUNCH, CRUNCH. And on the second CRUNCH, she thought that her house shook a little bit! She was so scared that she decided to sleep with Violet that night. In the morning, she went outside and looked around. She saw that half of her apples were gone! Someone had eaten them. Then she saw that there were more eight-toed footprints in her garden. Just then, she saw her neighbor, Mrs. McGillicutty walking her dog, Buttons. Rain looked, and sure enough, the garage was missing! And they looked, and there on the side of the house, it looked as if someone with very bad teeth had taken a large bite out of the corner of Rain’s pink and purple home. Rain said “thank you” to her Grampy, and she told him she loved him, and then she sat down to think. And then she got an idea. It was a crazy idea – but it just might work. The first thing she did was go and pick a lot of cabbage in her garden. She took it inside and chopped it up and started to make some sauerkraut. Then she went back out to the garden and picked a whole bunch of beets. She took the beets inside and started to boil them. Do you know what color the water in the pot turned when she boiled the beets? PURPLE! After the beets boiled a long time, Rain and Violet mashed them down. Then Rain mixed some of the sauerkraut in with the beet juice and it was a thick, lumpy, purple mixture. Rain put all of that into a bucket and took it outside. She painted her whole house with the purple beet/sauerkraut paint. It took her almost all day, but when she was done, her house was still purple – but it was BEET and SAUERKRAUT purple. Well, it didn’t take long for that House-Eating Troll to come back! Two nights later, Rain and Violet were in the house reading and they heard noises outside. The first noises sounded like SLURP, SLURP, SLURP! Then there was a little CRUNCH, and the house shook just a little bit. Next, they heard a loud, long, licking noise. That was followed by three HUGE sneezes and then a ROWF, ROWF, ROWF sound. Finally, there was the sound of big feet with eight toes running away from the house. Then it was quiet. In the morning, Rain went outside and she wasn’t sure what she’d find. She looked, and there were more apples gone from the tree. There was a small bite taken out of the corner of her house, and then a long stripe where it looked like a House-Eating Troll’s tongue had licked all the paint off one part of the house. Right next to her lingonberry patch was a big pile of Troll boogers where it looked like something really big and ugly had sneezed a lot. And there were eight-toed footprints running away from her house! Rain knew right away what had happened. The House-Eating Troll had come back, all right. He ate a little of her house, and he licked the paint – and because he was allergic to the beets and sauerkraut she had used for paint, he got sick and scared, and so he ran away. Because Rain is so kind and generous, she told all her neighbors how she had defeated the House-Eating Troll. And so now, every Thursday night, all the neighbors on Johnson Street sprinkle sauerkraut on their gardens. That is just enough to remind any House-Eating Trolls to STAY AWAY from their homes and just leave them alone. And ever since that time, no one on Johnson Street has ever seen or even heard of a House-Eating Troll again. They were all glad that Rain was so brave and creative, and her Grampy wrote her a special letter telling her how proud he was of Rain. And, of course, he told her that he loved her all the way to the moon and back. Because he does.